Hi everyone, and the others too… even those who never answer. A few days ago, I set myself to write a post to tell you not to bother watching the new FOX TV show “LUCIFER”. And then, because my Monday nights are kinda slow, I watch this week’s episode and man was I surprised. I was so surprised that I had to rethink my entire post and delay it until now. So let me tell you first why you shouldn’t have bothered yourself watching “LUCIFER”. This show is an adaptation, or I should say a loose adaptation, of the VERTIGO comic book of the same name, in which Lucifer Morningstar, the devil, quits his functions in hell and starts living on earth. Just because of this premise, many including me rushed to watch the first couple episodes of the show. And man were we deceived. In the TV show, Lucifer lives in Los Angeles (irony I guess) and owns a night club (just like in the comic book). He too, just like his counterpart in the comic books, has left hell because he didn’t want to “play God’s game any longer”. And that’s about it. FOX as a television network has had the bad habit to turn everything it touches into a police procedural dramedy. “Almost Human” took the revolutionizing concept of robots and human-like android and turned it into a cop show in which the protagonist had to catch one culprit after the other, until the show, eventually got cancelled. Unfortunately, “LUCIFER” isn’t much different. The devil, THE DEVIL himself, with all his might and power, his relegated to be a sidekick to a female detective whose appeal resides in her charming daughter. He uses his powers (making you answer to questions sincerely, I guess) to help the detective solve murder after murder until eventually (mark my words here) this show too will get cancelled. TV Lucifer takes fun in meddling with human and seems to be enjoying himself while Maze (his ferocious servant companion) and Amenadiel (the obscure and only angel they could find) really just want him to go back to ruling hell. Then we have, in the middle of all that, Linda, a psychiatrist who Lucifer consults now and then when he happens to be facing ‘questions of morality’. I keep repeating to myself that this thing has so much potential that it is painful to watch it sink. We really don’t need a buddy cop TV show with Lucifer and some uninteresting character. He is Lucifer GODDAMMIT! Okay, I’m getting emotional. The show in itself isn’t all bad. There are some redeeming qualities. 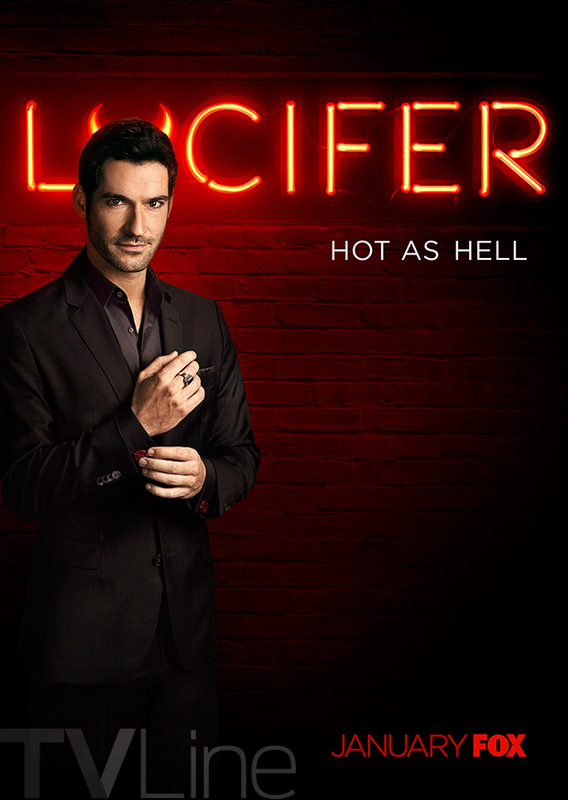 First the actor who plays Lucifer is sooooo exquisite and charming (of course he would be British). And truth be told, I actually think he is a good actor; I just wished they had given him a lot more to work with and not just that slapstick humor and double entendres. Maze too is quite interesting, for the little I have seen of her. She just doesn’t look like a thought out character. Maybe the layers are coming, maybe she is not that important to the story. And finally, the positive thing that kept me coming back even after the previous episode had deceived me. The underlining, very deep underlining story of Lucifer not wanting to play “God’s game” storyline is something to lookout for. As forces will try harder and harder to push him back to hell, it will be interesting to see how his internal and external struggles will affect his relationship and his overall mindset. But we are still very far from that since the show seems so far more interested in making us buy the idea that Lucifer actually makes a not-so-bad sidekick. And that leads us to the surprise of this week. First and foremost I have to say **SPOILERS**. You’ve been warned. In this week’s episode, a container was stolen. A container belonging to Lucifer himself. A container in which he was storing his wings. Yes his wings, the ones that got ripped off his back after he fell from heaven. This, more than anything else, is likely to be the turning point for the show. The moment where the supernatural aspect of the show finally takes the forefront and elevates the show to a new height. Hopefully. If not, well, after next week’s turbulent episode, the show will fall back to its buddy cop basics and like its hopes for a second season, all the fucks I could have given to it would be gone. Anyway, until I see the next episode, I have to stand on my grounds. DO NOT BOTHER WATCHING “LUCIFER”, it really isn’t worth your Monday nights plus it is broadcasted at the same time as “The Magicians” (a far better TV show if you ask me). It isn’t even worth the data you will spend downloading the episodes. Goddammit!!! I won’t even bother giving it a grade, I’ve said everything that needed to be said. Next Next post: EXCUSE ME. HOW AM I SUPPOSED TO WATCH ALL THESE SHOWS?